Do you enjoy big city races with great perks? If so, the Kansas City Marathon is the perfect race to add to your fall race lineup! For today’s Friday Five, I am going to give you 5 reasons you should start thinking about your fall running schedule and run with me this October!! Those Kansas City hills aren’t going to run themselves!! The Kansas City Marathon has been selected for TripAdvisor’s 50 US Road Races to Attempt in Your Lifetime (key word…ATTEMPT) and provides several great distances including the Full Marathon, Half Marathon, I-35 Challenge, 10K (new for 2017), 5K, and Kids Marathon. The KCM is Kansas City’s largest and most exciting annual race event. 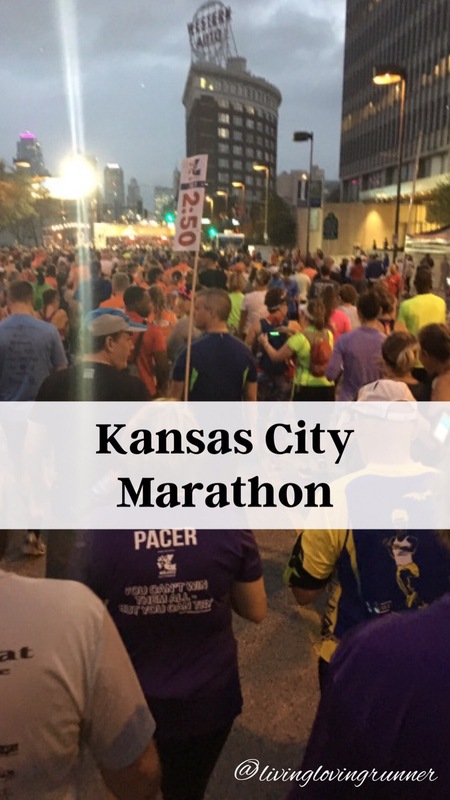 The race course gives its runners a tour of Kansas City’s most beautiful landmarks and neighborhoods including the National World War I Museum & Memorial, the Country Club Plaza, the Nelson Atkins Museum of Art, Brookside, Westport, 18th & Vine and much more (the marathon sees the most…duh!!)! My current PR in the half marathon was set in 2015 at the Kansas City Marathon! Last year, I ran the half marathon again, but as a smart pacer! This year, I will be running the full marathon distance as a BibRave Pro! This is my fall marathon for 2017 and I look forward to seeing with the second 13.1 of this course looks like 🙂 The race routes will be posted soon and I can’t wait to see where the KCM will take me!! The biggest plus with the KCM route is that there are aid stations every 1.5-2 miles for all race distances!! Talk about major support for their runners!! Many of the large, tried and true races in the Kansas City area are known for their amazing pre-race expos! At these expos, you can absolutely get your bib, chip, and extra swag – but I spend the most time wandering around the vendors! Many vendors travel from near and far to help you perform your best on race day! Whether you are picking up some last minute gels, grabbing pace bands, or finding your next set of running shoes (nothing new on race day!! ), be sure to make some time to walk around! During the registration process, runners will have three options to give back with one of the Kansas City Marathon’s charity partners – with their donation, there are additional perks for future KCM registrations. Consider donating today! One major bonus of the Kansas City Marathon is the use of the Runner’s Edge of KC Smart Pacers! I had the opportunity to pace the Kansas City Half Marathon in 2016 and made some lifelong running friends! Everyone is there to have a good time, or at least most people, and we had a blast! The pacers will help you finish the race within your goal time. By taking the uphills a little slower and the downhills with a little more speed, you will better conserve your energy to the end of the race! Plus, the pacers are always a good time – and that is coming from a very successful pacer! I look forward to working with one of my fellow marathon pacers this fall at the KCM! No matter the distance, all runners who run the KCM events will receive a Kansas City Marathon participant shirt – the finishers will then receive a distance specific finisher’s medal, FREE downloadable race photos, FREE food, FREE beer, and FREE massages at the Finish Line Festival. Once you finish your race distance of choice, you will receive your medal, ample choices of bread, fruit, and water, and then a great post race area for more food choices, post run photo op areas, and a live band! The food provided in the post race area is grrrreat! Last year, there were 2-3 sandwich/wrap choices, many beer choices (for those 21 and older), and lots of fruit and water. Chik-fil-a was also wandering around the area giving out fruit and sandwiches! This year, Seasons 52 will be providing the food and Central States Beverage will be providing the libations in the post race area! What is a Friday Five without a bonus #6?! Do your part on race day to ensure the Kansas City Marathon is running a sustainable event for the environment and the KC community!! Do you have any races that you run year to year? Have you used pacers with success in the past? How many BIG city races have you completed with green initiatives for their communities? This does sound like a great race — free food & photos? Yes please! And I love me a good expo. But my fall half is already booked! Considering it will be my third, possibly fourth half of the year — don’t think that’s happening. Not this year, anyway.